Motorboat & Yachting: The UK boatbuilding industry saw a 4.3% rise in output during 2014, according to the latest figures from British Marine. Last year saw a 4.3% rise in UK boatbuilding, according to a new study by British Marine, in collaboration with Phil Draper & Associates. The report shows that UK manufacturers built 10,120 boats in 2014, despite challenging market conditions in the Eurozone. One area to show particularly strong growth was the superyacht sector (vessels over 24m), which recorded a 10% rise, when compared with 2013. 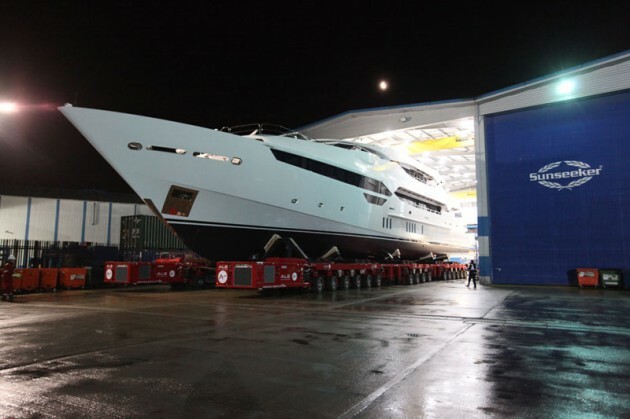 The report names luxury brands Princess Yachts and Sunseeker International as two of the key success stories, with the latter launching its largest ever model, the Sunseeker 155 last year. Sarah Dhanda, membership and services director for British Marine, said: “These figures showcase the strength of Britain’s marine industry in a climate where UK manufacturing is under pressure to compete in international markets. “It is the high-quality skills and versatility of our members which keeps the UK at the forefront of production.” Sarah added that these figures could increase further with more support from the Government, which would allow the full potential for UK boatbuilding to be “unleashed”.